​RENARD T. and R. Coolsaet (eds) (2018), Returnees: who are they, why are they (not) coming back and how should we deal with them? Assessing policies on returning foreign terrorist fighters in Belgium, Germany and the Netherlands, Egmont Paper 101, Brussels: Egmont Institute, February. RENARD T. (ed) with Sophie André, Elke Devroe, Nils Duquet, France Lemeunier, Paul Ponsaers and Vincent Seron. 2016. Counterterrorism in Belgium: Key challenges and policy options, Egmont Paper 89, Brussels: Egmont Institute, October. Direct access to the PDF. RENARD T. and S. BISCOP (eds). 2015. Belgium and its foreign and external policies (2010-15), Studia Diplomatica, vol LXVIII:2. GREVI G. and T. RENARD (eds). 2012. 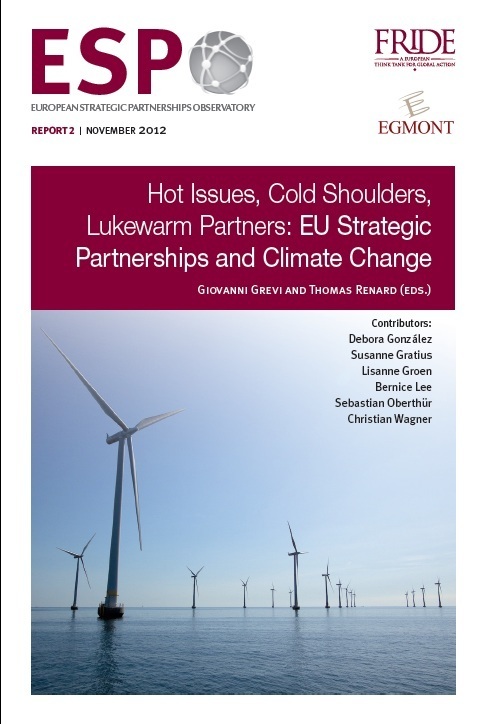 Hot Issues, Cold Shoulders, Lukewarm Partners: EU Strategic Partnerships and Climate Change, Report 2, European Strategic Partnerships Observatory (ESPO). GREVI G. and T. RENARD (eds). 2012. 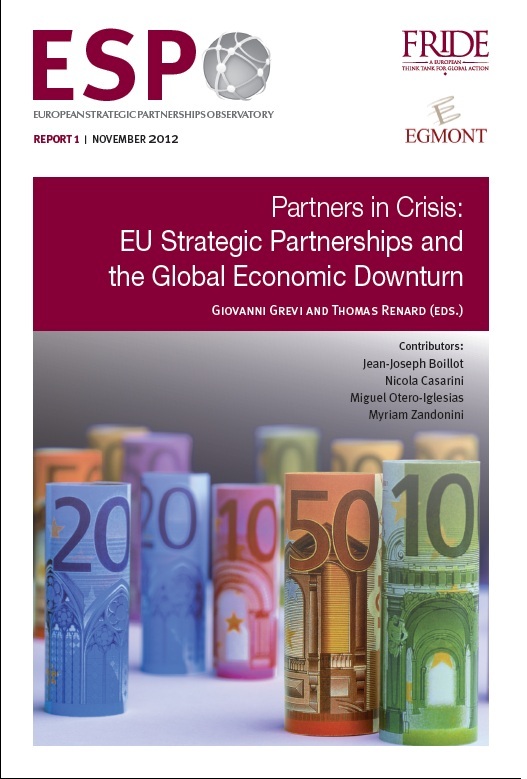 Partners in Crisis: EU Strategic Partnerships and the Global Economic Downturn, Report 1, European Strategic Partnerships Observatory (ESPO). RENARD T. and S. BISCOP (eds). 2012. 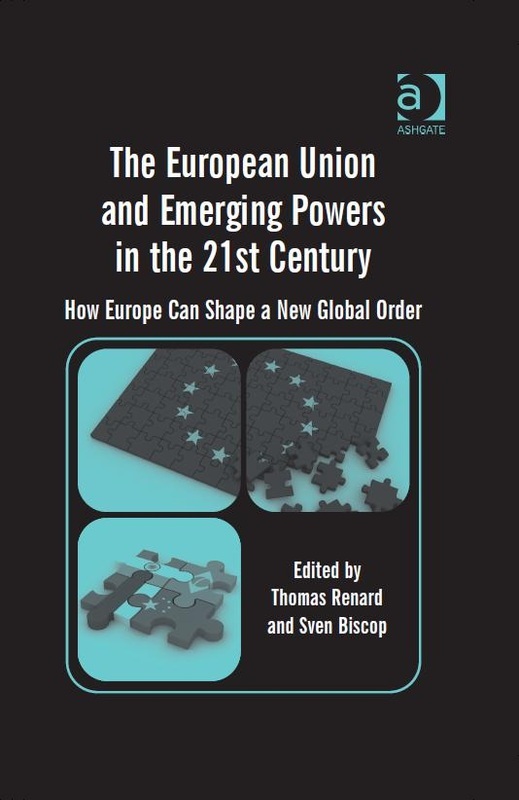 The European Union and Emerging Powers in the 21st Century: How Europe Can Shape a New Global Order, Farnham: Ashgate. RENARD T. and T. STRUYE DE SWIELANDE (guest editors). 2011. 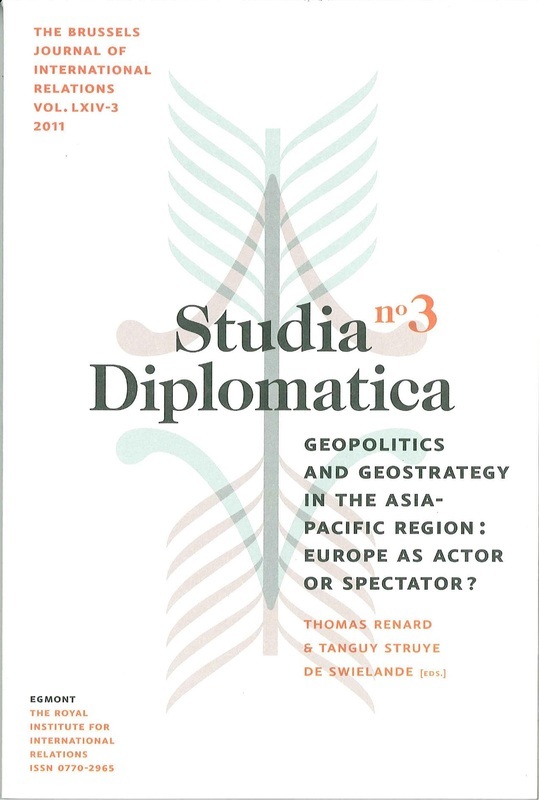 Geopolitics and Geostrategy in the Asia-Pacific Region: Europe as Actor or Spectator? Studia Diplomatica, LXIV(3). RENARD T. 2011. 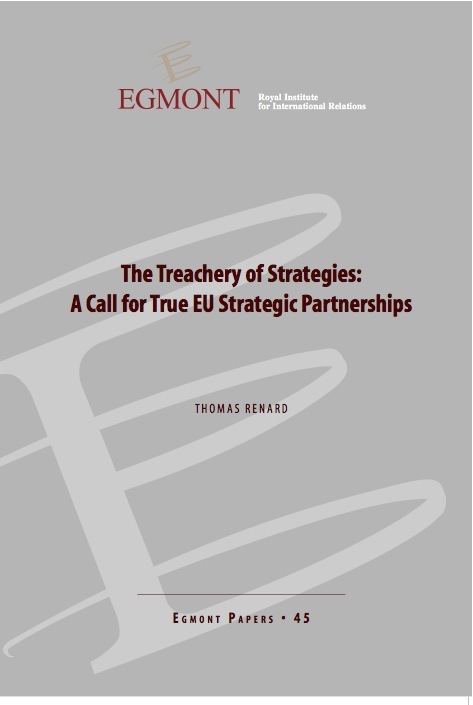 The Treachery of Strategies: A Call for True EU Strategic Partnerships. Egmont Paper 45, Egmont - Royal Institute for International Relations. EMERSON M. with BALFOUR R., CORTHAUT T., KACZYNSKI P., RENARD T., WOUTERS J. (2011). 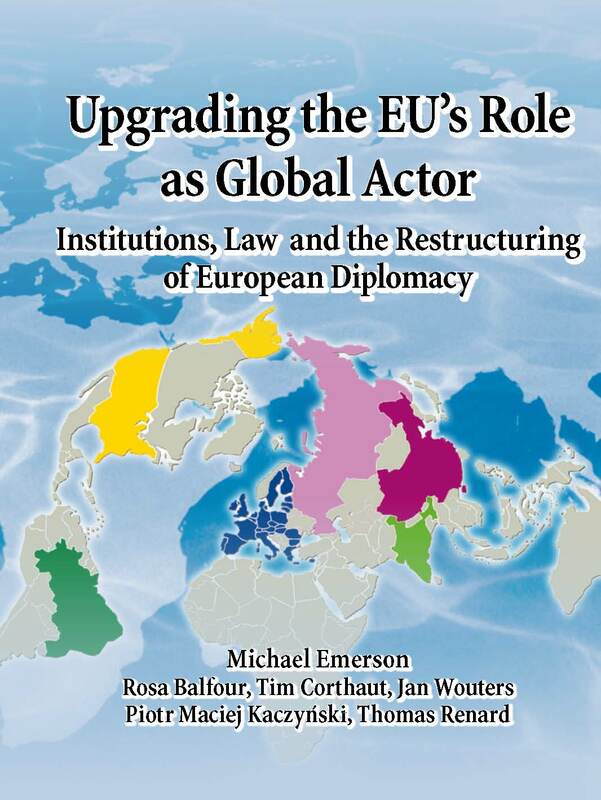 Upgrading the EU's Role as Global Actor: Institutions, Law and the Restructuring of European Diplomacy, Brussels, Centre for European Policy Studies. RENARD T. (2011). 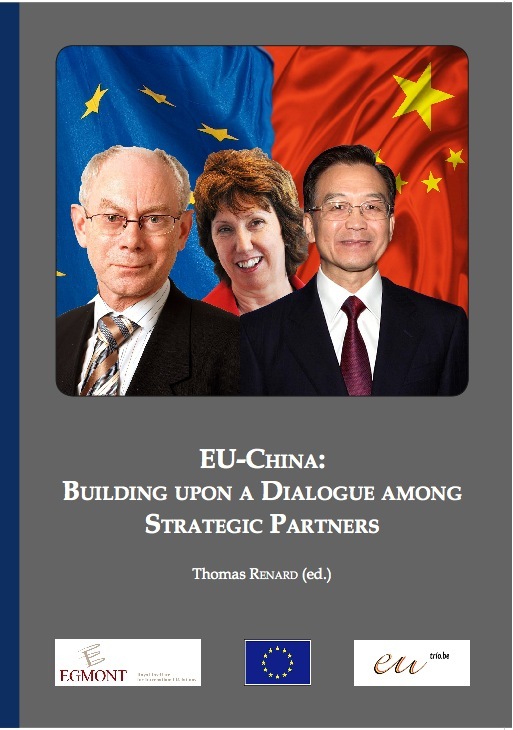 "EU-China: Building upon a Dialogue among Strategic Partners", Report, Egmont - Royal Institute for International Relations, January.